Newspaper publishers and owners across the country are wondering what moves they can make to remain financially viable if the preliminary newsprint tariffs become permanent. Do we look at making deeper cuts in expenses, which unfortunately we’ve become pretty adept at doing for the last 15 years, or do we look at ways to increase revenue, and that’s something that has been problematic. Ultimately, I believe it has to be a combination of both. Every newspaper is unique, but what is common is the need to mitigate any further damage to our already wounded brand. I’ve always contended that even with the changes that we’ve endured, our brand is still viable, so caution should be taken when it comes to implementing any of these changes because some of the options could potentially be harmful. The key is to cause the least amount of disruption to your brand. Reduce page count—Take the time and review past issues to determine if what you are publishing is actually relevant to your readers. Granted, your readership is always going to be aware when you reduce page count. For smaller newspapers, content generated by the community takes up a lot of space and is valuable. Thought should be given to limiting the amount of space devoted to community content, but do not eliminate it. Maybe those collections of news releases promoting the community could be condensed into a brief- or bullet-point format. Reduce publishing days—Many newspapers have already taken this route in the last few years, and it’s a beneficial exercise for any publication that prints more than weekly. Control the number of single-copy returns—Do an analysis of single-copy returns to bring them into line with what’s actually being sold. Additionally, any marginal racks or dealers should be scrutinized, as there are newsprint savings and delivery costs to consider. As a former publisher, I hated seeing empty racks, but now with the increased price of newsprint, I’d rather not see 20 papers still in the box at the end of a publishing cycle. Press waste—Take a look at your press runs to monitor the amount of newsprint waste. If you’re not tracking it, start. Set a goal and take the necessary steps to prevent waste during press start-ups. Try to find the factors that contribute to the waste. Setting color is a big contributor, so look at how you currently use color in your publications to have better control. Additionally, monitor your actual press count to make sure that you print what you actually need. Specials sections—Determine if these sections are truly special. The first step is to do an analysis of every section to determine its profitability moving forward. Just because we’ve always done a football section every fall, it doesn’t mean that we should not scrutinize it. Think about selling in-paper sponsor pages—be creative. Convert print to digital—It’s easier said than done but maybe the first step is to move those readers that are out of your general circulation area over to digital distribution only. These readers typically have little or no impact for your advertisers. And you’ll get the added benefit of postage savings. TMC/NDC distribution—Determine how profitable your TMC/NDC products actually are. We all know that there is continued pressure from preprint advertisers to eliminate waste. The trend of fewer preprints will continue either because of fewer advertisers or because of limited distribution. NIE—For those newspapers that are still distributing papers to schools, it’s time to take a hard look at the program. Ultimately, if you’re just dropping the papers off without any program or curriculum in place, it’s money not well spent. Sure, you can count it as paid circulation, but there really is no value to the advertisers or the students if the papers are not being used. Web size reduction/format change—Review your current format and determine a format to better utilize newsprint. If you are currently a broadsheet, look at the merits and potential savings of going to a tabloid. Adjusting your web width could potentially yield big savings. If you’re a tabloid printing on a 34-inch web and you drop down to a 32-inch web, you’ll realize nearly a 6 percent savings. The actual page depth will only decrease by 1 inch. After all, a page is still a page. You may want to change from a broadsheet to tabloid format, if you haven’t already done so. Staffing—It is your biggest expense, with newsprint being the next for most newspapers. Reducing staff by either leaving open positions unfilled or imposing staff reductions cuts expense in a hurry. Hopefully, this will be done as a last resort—after all other methods have been exhausted. Having fewer people covering your community will do the greatest harm to your brand. Subscription increase—For the fist time, many newspapers are seeing circulation revenue exceeding advertising—it’s no longer the 75/25 rule. It’s not that we are selling more subscriptions, but that advertising revenue has decreased at a much faster rate. Our advertising-based business model is not the model of the future. Advertising revenue can no longer subsidize the cost of a newspaper and subscribers will have to start paying more of the true cost of having a newspaper. Many weeklies have an annual subscription rate as low as $35; some charge even less. What if you increased the subscription price to $50 annually? That’s nearly a 43 percent increase in revenue. Sure, you’ll get some negative feedback and a few lost subscribers, but nothing near 43 percent increase. Advertising rates—There was a time that we did rate increases annually—it was a common business practice. Those days are gone, and many newspapers don’t even publish an annual rate card, and realistically if we did, most of those advertisers wouldn’t be on the card. It’s time to get our rates back in line and develop a rate strategy to increase business. If you are not using modular ad sizes, I would suggest that you entertain the idea. Offer incentives based on frequency, size, color, etc., to get advertisers to commit to a regular schedule. My experience is that it’s an easier sell and makes for a cleaner and ultimately more efficient way of putting the paper together. These are just some options for you to consider, and there are many others out there. We’ve created a Facebook Forum page for you to share your ideas, experiences and success stories. Go to www.facebook.com/groups/NNAFORUM/ to join the group. The time to have a discussion on how best to proceed is now—whether or not tariffs become permanent. 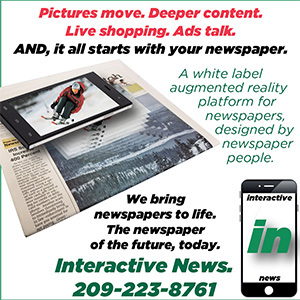 Any move to conserve newsprint and control costs should be looked at its entirety with the ultimate impact on your newspaper, readers and community. Try to look at this in the long-term and not as an immediate reaction to the situation we now face. 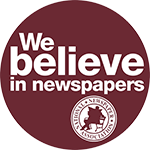 Even if the National Newspaper Association, as part of a coalition of newspaper groups, is successful in stopping the tariffs, newspapers will experience newsprint shortages in some parts of the country, given that the newsprint manufacturing cycle is not in a normal phase. Some paper producers warn that newspapers might face paper shortages this summer. They say because larger papers are anticipating price increases and are building inventory as a hedge against paying more later, the mills are unable to add production capacity. The long-term falling demand in the industry makes it difficult to attract the millions of dollars in financing needed for expansion. 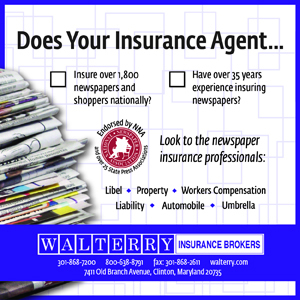 Newspapers should check with their suppliers immediately to determine how the summer and fall supply may affect them. For more information on what NNA is doing, see the story on Page 1 and go to the main page of NNA’s website at nnaweb.org. Sam Fisher, NNA CEO and Illinois Press Association president and CEO, has been in the newspaper business for more than 40 years, 25 years as a publisher before coming to the association world. He can be reached at sam@nna.org.